​Best-Selling Author & Urbanist . One of the world's leading public intellectuals on economic competitiveness, demographic trends, and cultural and technological innovation. Richard Florida doesn't just tap into hot topics: he generates them. His key concept—the creative class—has entered the popular imagination with sea-changing force. A brilliant speaker, Florida combines in-depth analysis, cutting-edge trends and fascinating personal stories to show us where the world is headed. 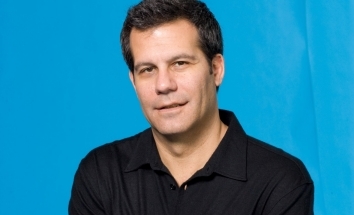 Richard Florida is one of the world's leading public intellectuals on economic competitiveness, demographic trends, and cultural and technological innovation and is perhaps the world's leading urbanist, "as close to a household name as it is possible for an urban theorist to be in America," according to The Economist. 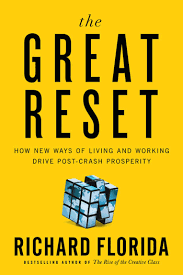 He is the director of the Martin Prosperity Institute at the University of Toronto's Rotman School of Management, a global research professor at New York University, and the founder of the Creative Class Group, which works closely with governments and companies worldwide. Esteemed global organizations and individuals have requested Florida's insights and contributions, including Hillary Rodham Clinton, the White House Council, the Saudi Government, A.T. Kearney, Coca-Cola, the United Nations, and the World Bank. Florida is the author of several global bestsellers, including the award-winning The Rise of the Creative Class - "one of the best business books of all time," according to 800-CEO-READ - and is a senior editor for The Atlantic, where he co-founded and serves as editor-at-large for Atlantic Cities, the world's leading media site devoted to cities and urban affairs. Florida appears regularly on CNN and other news broadcasts and is a regular contributor to the op-ed pages of major newspapers and magazines. Time magazine recognized his Twitter feed as one of the 140 most influential in the world. Florida previously taught at Carnegie Mellon and George Mason University and has been a visiting professor at Harvard and MIT. He earned his bachelor's degree from Rutgers College and his PhD from Columbia University. 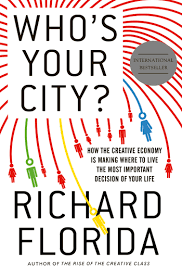 Combining in-depth analysis, cutting-edge trends, and compelling personal stories, Richard Florida presents his insights into how creativity and the emergent Creative Class are revolutionizing cities and the global economy. Looking toward the future, Florida identifies the patterns that are transforming virtually every aspect of our lives—from how and where we live, to how we work, to how we invest in individuals and infrastructure, to how we shape our cities and regions. Florida shows how the very same underlying force—the clustering of talented people, economic assets and innovation that propels our economy—is also leading to growing inequality and class divides for cities and nations. The key to overcoming these challenges and to future progress, he tells us, is to tap and harness the full creativity of each and very human being. In doing so, he unveils the underlying keys to building great cities that power prosperity and can lead us to happier more fulfilling lives. No longer are cities competing with neighboring cities, rather mega regions are competing globally. Focusing on city, regional, and global economic growth, Richard Florida shares the knowledge that gives community leaders the tools they need to generate greater economic prosperity in their region. In this talk, Florida presents the most current regional economic and demographic data of cutting-edge community-building practices to give you framework to make your community more competitive and vibrant. 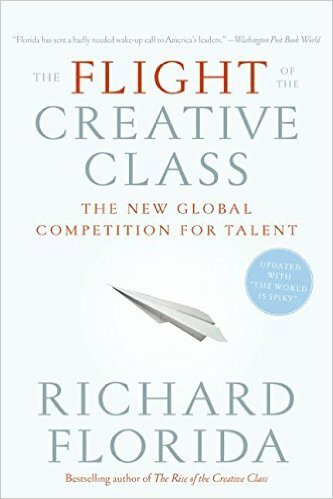 Richard Florida ignites new thinking and strategic initiatives on how to manage, motivate and inspire creative people. Drawing from his breakthrough Harvard Business Review article and more than two decades of research and experience on leading edge companies, Florida show teams of executives and managers how to manage. 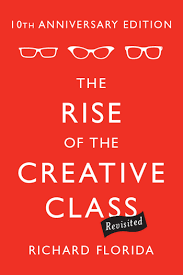 Who is the Creative Class and why do they matter? They are a consumer group, consisting of scientists, engineers, managers, innovators and people in research and development, as well as artists, writers and musicians are the most educated and demanding consumers in the marketplace. The Creative Class is 40 million strong and makes up 30 percent of the U.S. workforce, with 50% of wages earned. They control nearly 70% of discretionary spending in the US. That is over $500 billion in purchasing power annually. In this talk, Richard Florida presents years of data on who they are, where they are, what they read, what they purchase and the ethos that drives their decisions.